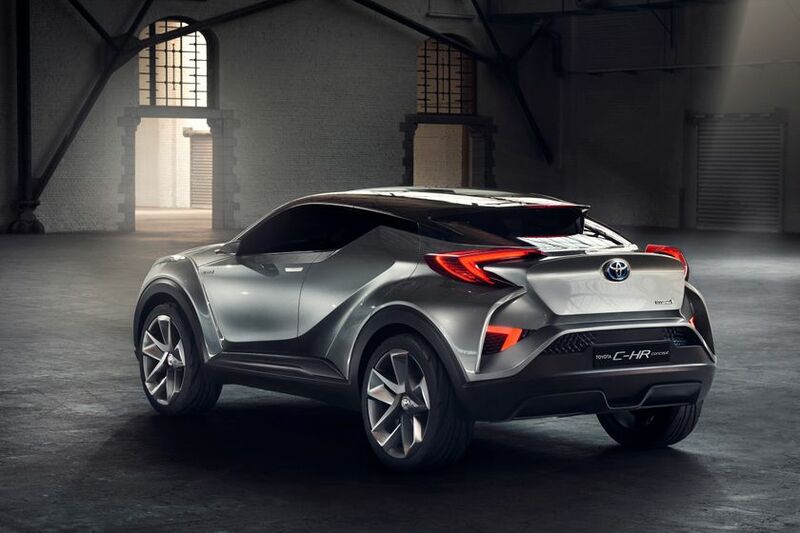 (FRANKFURT, GERMANY – September 15, 2015) The Toyota C-HR concept, a stylish and compact hybrid crossover, has been updated with the intention of launching a mass-market version in the not-so-distant future. 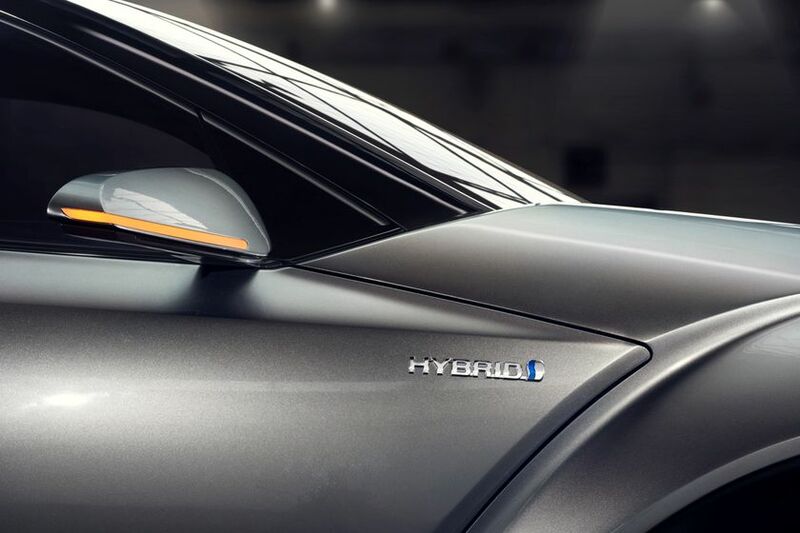 The new five-door model is currently on display at the 2015 IAA Frankfurt Motor Show (September 15―27). 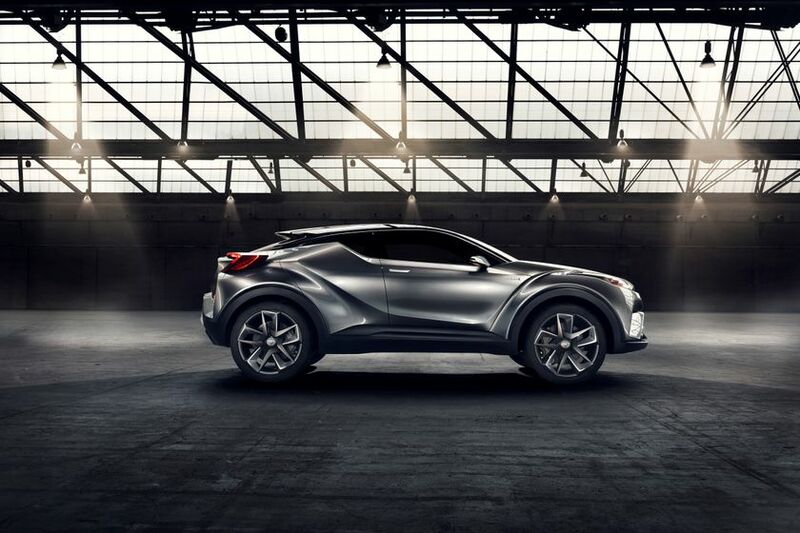 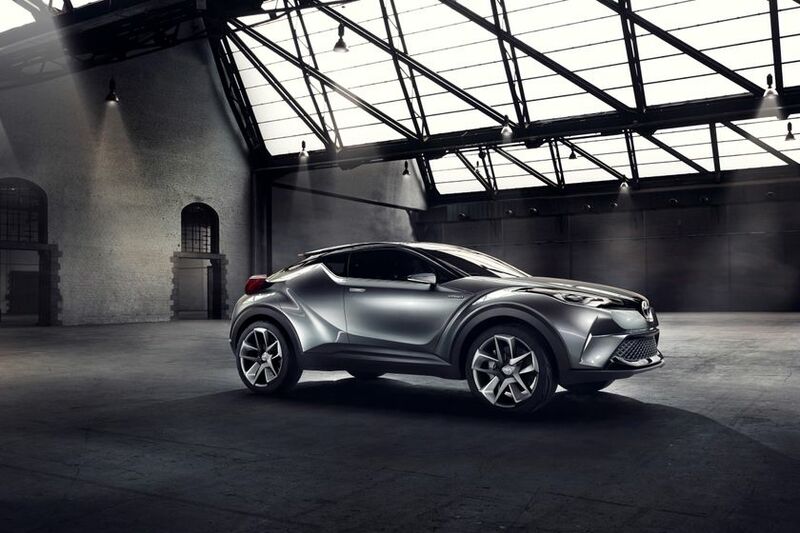 The Toyota C-HR Concept was created to explore new directions for compact crossovers in an increasingly homogenous marketplace, and made its first appearance at the 2014 Paris Motor Show as a design study. 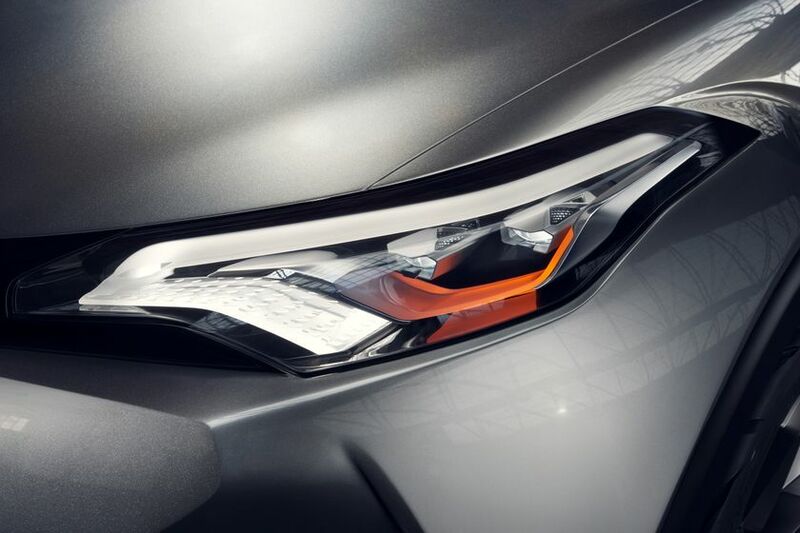 The concept is visually distinctive, thanks to its expressive diamond-inspired styling, packed full of eye-catching details that have been sculpted and chamfered to represent the facetted surfaces of a precision-cut gemstone. 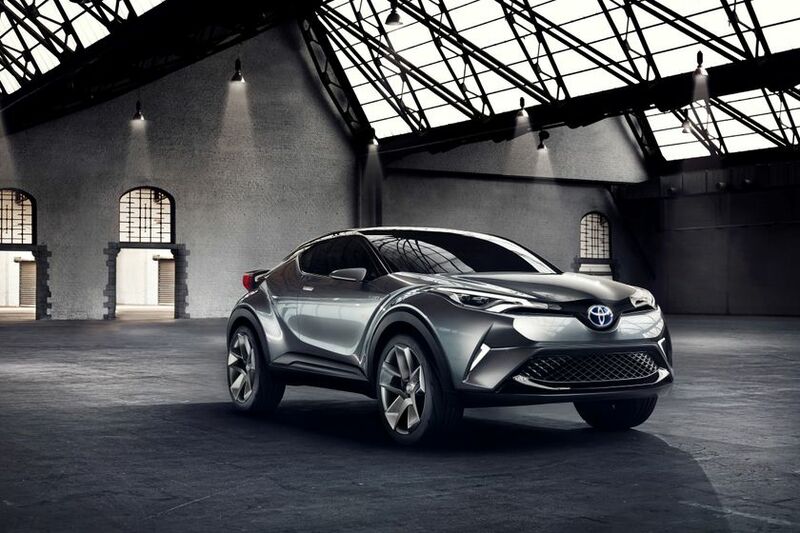 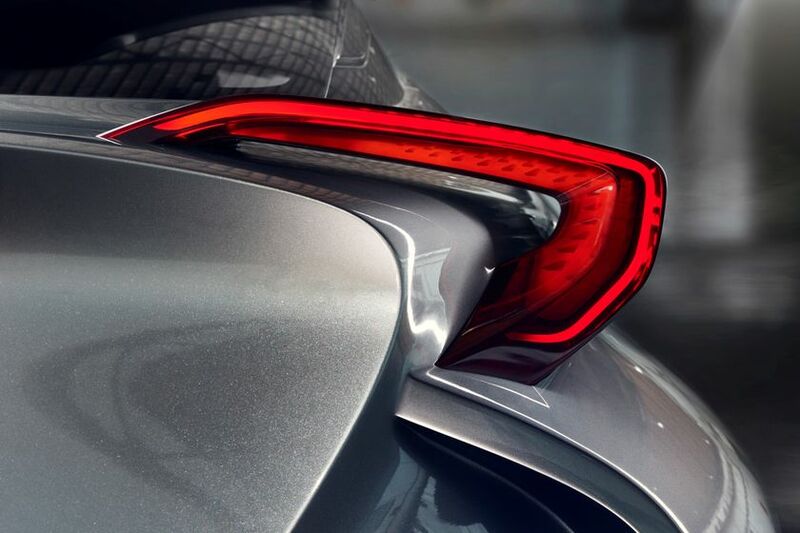 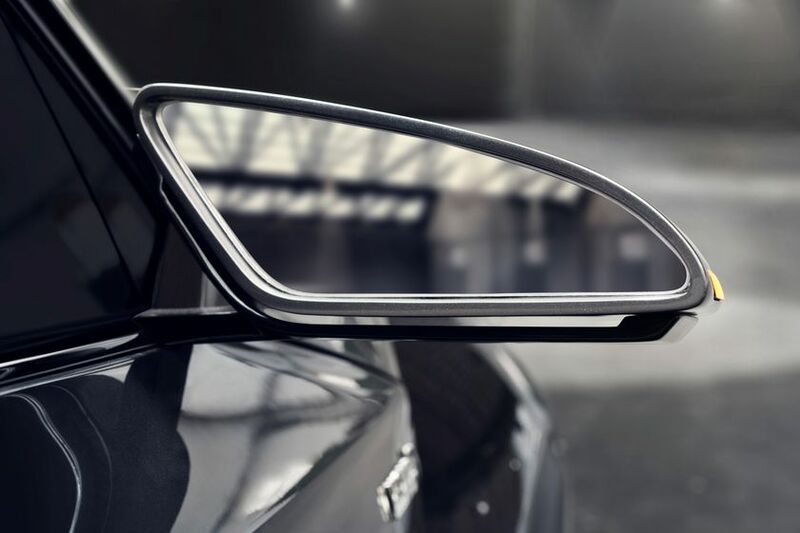 The vehicle builds on two key elements of Toyota's design language―Keen Look and Under Priority―to create a bold, emphatic front profile that emphasizes the lower grille as well as increasing aerodynamic performance, cooling, and pedestrian safety. 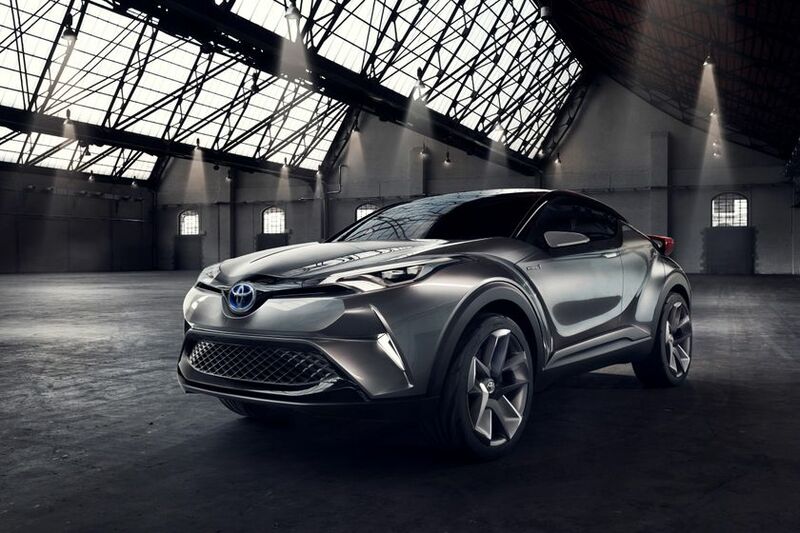 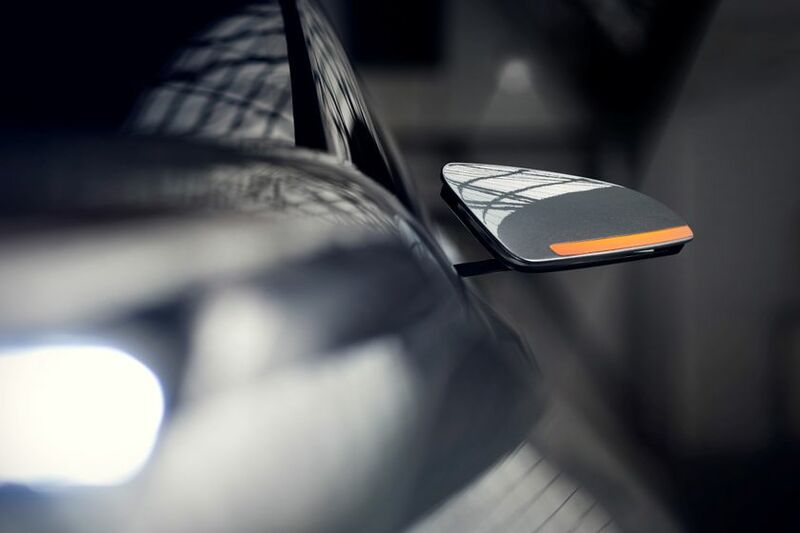 The updated concept represents a step toward commercialization, with changes such as the shift from a three-door to a five-door format made from a practicality standpoint. 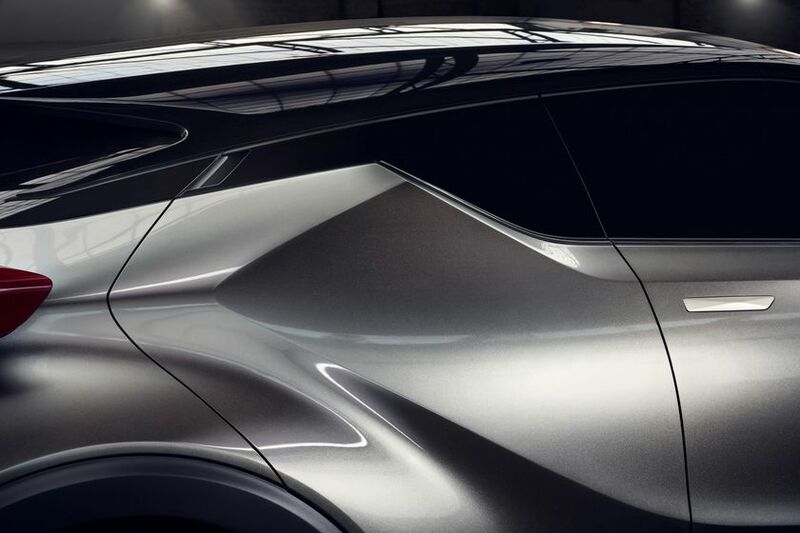 Additionally, the roof color scheme has been changed from a two-tone (blue and black) to a uniform glossy black color scheme. 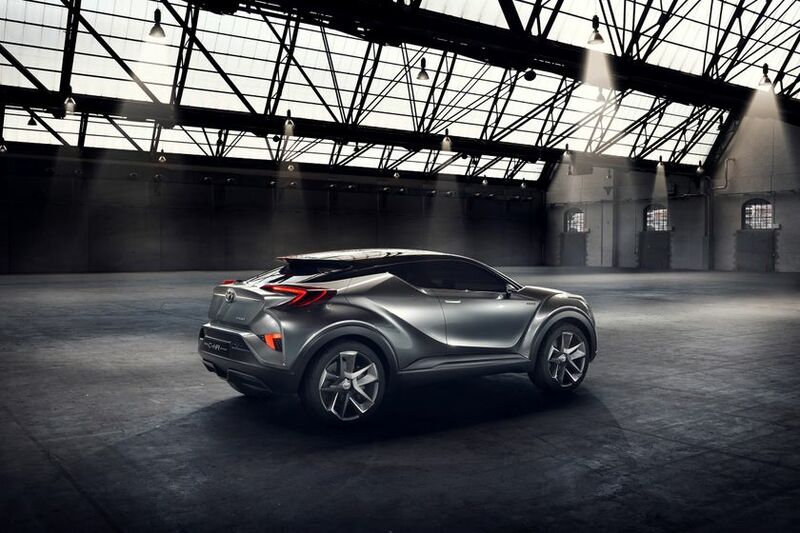 The Toyota C-HR Concept makes use of the Toyota New Global Architecture (TNGA), an integrated development program for vehicle platforms and powertrain components. 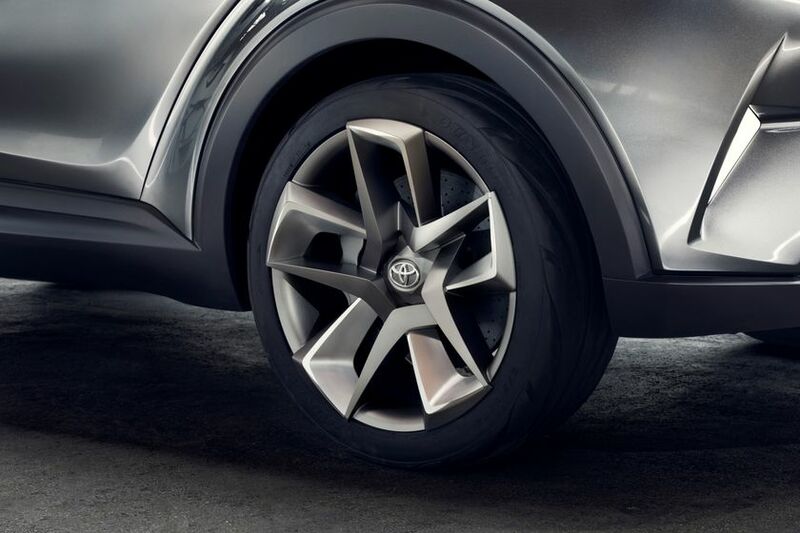 TNGA will enable Toyota to create vehicles with improved chassis rigidity, handling stability, and comfort. 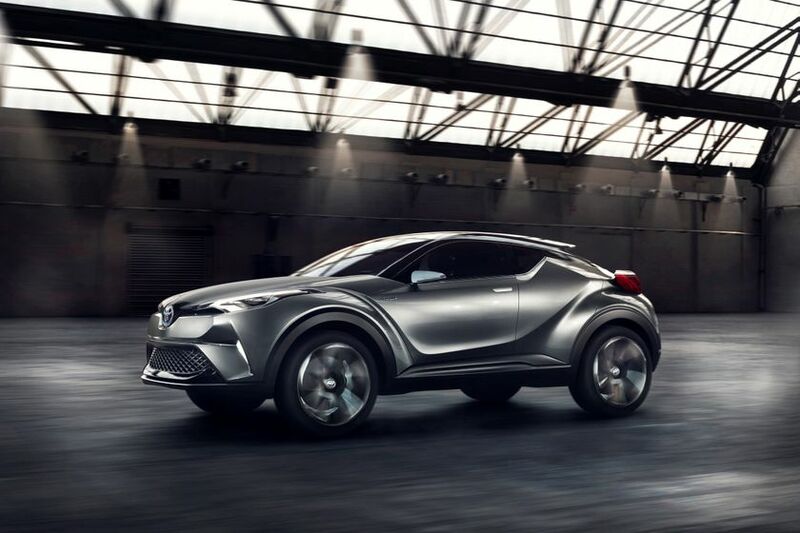 Additionally, Toyota aims to give the concept an engine with thermal efficiency of over 40 percent, as well as further improving fuel efficiency by making the hybrid system―including the motor and battery―smaller and more lightweight. 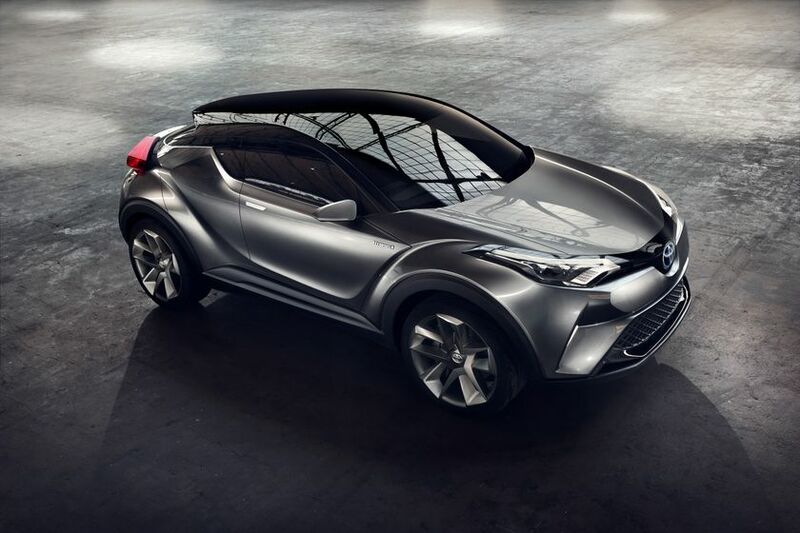 Toyota hopes to show a production-ready model at the Geneva International Motor Show in March 2016.